One of two persons representing south-central Ohio and Gov. Mike DeWine’s RecoveryOhio Council, Portsmouth Police Chief Robert Ware first said he was impressed by the quality and breadth of experts and officials DeWine named to the council in mid-January. Last week, DeWine released an initial report based on the recommendations of that group. Ware expressed confidence the recommendations will prove effective in the long run, though he did say some will require funding and some simply will take time to come to fruition. He added he was particularly pleased with both the council’s and the governor’s emphasis on prevention and taking into account the viewpoints of those suffering from substance abuse disorders. 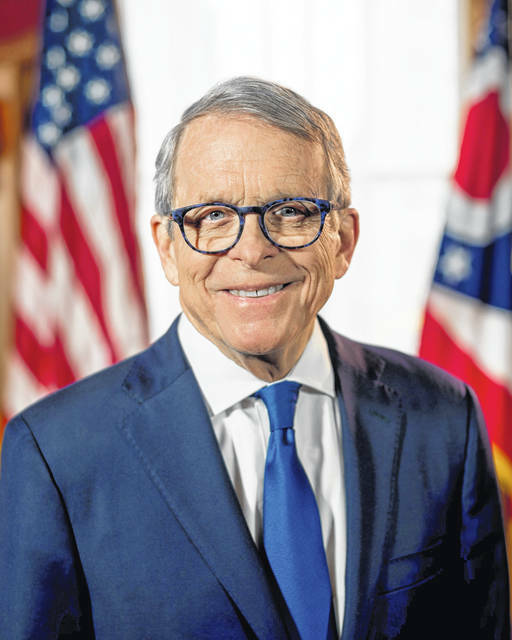 In a press release, the governor’s office stated DeWine created the Recovery Ohio initiative and the RecoveryOhio Advisory Council to coordinate and improve how Ohio addresses mental health and substance use disorders. Echoing Ware, DeWine’s office bragged the Advisory Council includes a diverse group of individuals who have worked to address mental illness or substance use issues in prevention, treatment, advocacy, or support services; government; private industry; law enforcement; healthcare; learning institutions; and, faith organizations. The council issued more than 70 recommendations in the areas of stigma, parity, workforce development, prevention, harm reduction, treatment and recovery support and data and outcomes measurement. DeWine’s office contends the council considered the needs of all Ohioans; however, two specialty populations were highlighted because of their unique needs – children and adults involved in the criminal justice system. • Establish statewide prevention coordination with all state departments and agencies to ensure best practices, consistent messaging, technical assistance, and delivery of prevention services across multiple domains. • Commission a statewide campaign to address the stigma against people with mental illness and substance use disorders. • Ensure that each patient’s needs and treatment recommendations are determined by a qualified clinical professional and promote insurance coverage of medically-necessary services identified by quality clinical care providers. • Review and create a comprehensive plan for safe, affordable, and quality housing that will meet the needs of individuals with mental health and substance use disorders and would include supported housing options, transitional housing, recovery housing, adult care facilities, and short-term stabilization options. According to DeWine’s office as well as Ware, the advisory council will continue to meet to form actionable and scalable solutions to address these recommendations. The second southern Ohio representative on the advisory council, former Ohio Governor Ted Strickland, a native of Lucasville could not be reached for comment. Prior to the release of the council report, Ware talked about how law enforcement needs to be able to connect offenders with treatment programs. 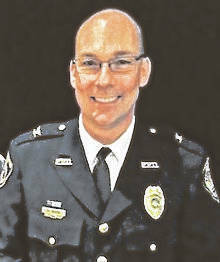 Ware said his ultimate goal would be to keep addicts out of the criminal justice system, but he wants law enforcement to have the ability to connect persons who do end up in the system with addiction treatment, especially if those persons seem ready and willing to accept such treatment. He noted Portsmouth police are “absolutely empowered” to connect addicts with the various treatment programs available in the immediate area. Ware mentioned one obvious benefit in getting people treatment is hopefully stopping them from resorting to a life of crime in order to support a growing drug habit or some type of untreated mental health need. To read the entire initial report visit the governor’s website at www.Governor.Ohio.gov.